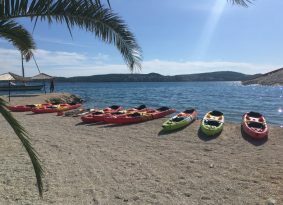 Rent a kayak with Kastela Excursions, explore the beaches and beautiful places on Trogir Riviera, create your own kayak trip on Trogir and Kastela riviera. 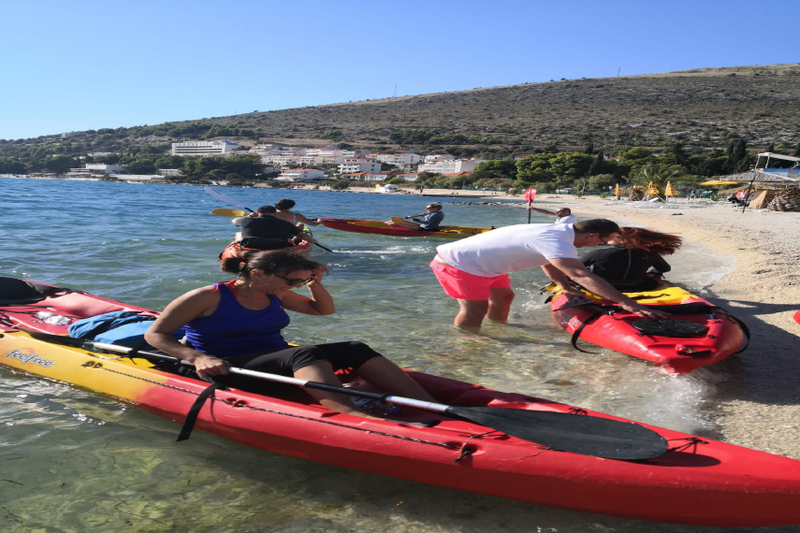 Easy to learn, great for the Adriatic Sea and comfortable for small and large paddlers, the Tri-Yak kayak is ideal for couples, families and friends. Always in demand because of its versatility, the Tri-Yak is often seen carrying snorkelers, picnickers, fisherman or those seeking a longer trek. It is great platform for swimming-just jump on and of. Its self-draining cockpit will take care of the extra water.So easy to use and fun,the Tri-Yak rarely sits idle. 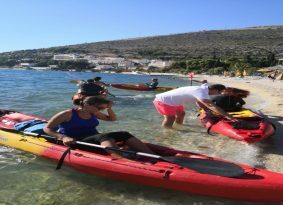 If you do not like to be part of a group and wish to create your own trip, decide how long would you like to paddle and where to stop renting a kayak is a perfect way for you to create your own trip. We provide you with maps, weather forecast, accommodation information and of course all accessories and equipment. 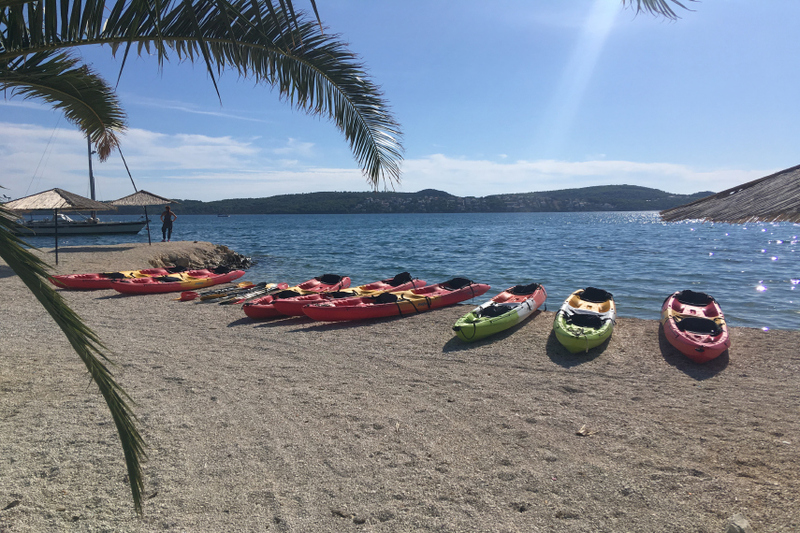 Reserve Kayak NOW and enjoy with your family next summer in exploring the beaches and beautiful places on Trogir and Kastela Riviera. 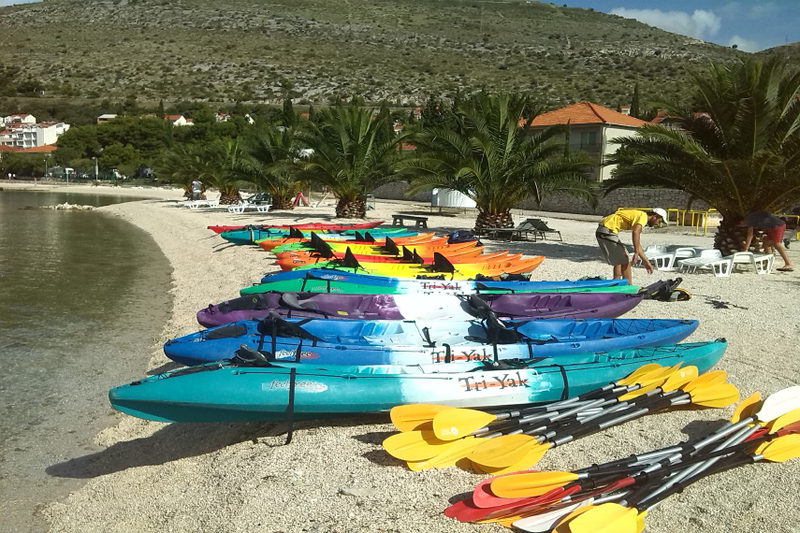 Easy to learn, great for the Adriatic Sea and comfortable for small and large paddlers, the Tri-Yak is ideal for couples, families and friends. Always in demand because of its versatility, the Tri-Yak is often seen carrying snorkelers, picnickers, fisherman or those seeking a longer trek. It is great platform for swimming-just jump on and of. Its self-draining cockpit will take care of the extra water.So easy to use and fun,the Tri-Yak rarely sits idle. After your resevation we will send you all details with Google maps. Kayak are in our base in Seget Donji - please contact us for detail adress and info about fre parking of your car. We advice to take some water with you, sun cream, hat and we wish you calm sea.